The Campomaggi leather purse with Ravenna studs is a beautiful accessory available in three stunning colourways, each one expertly handcrafted and piece-dyed in Italy. Constructed from genuine cowhide, this chic designer purse features a snap button fastening, zipped coin pocket and plenty of room for your cards and notes with multiple card slots and three slip pockets. 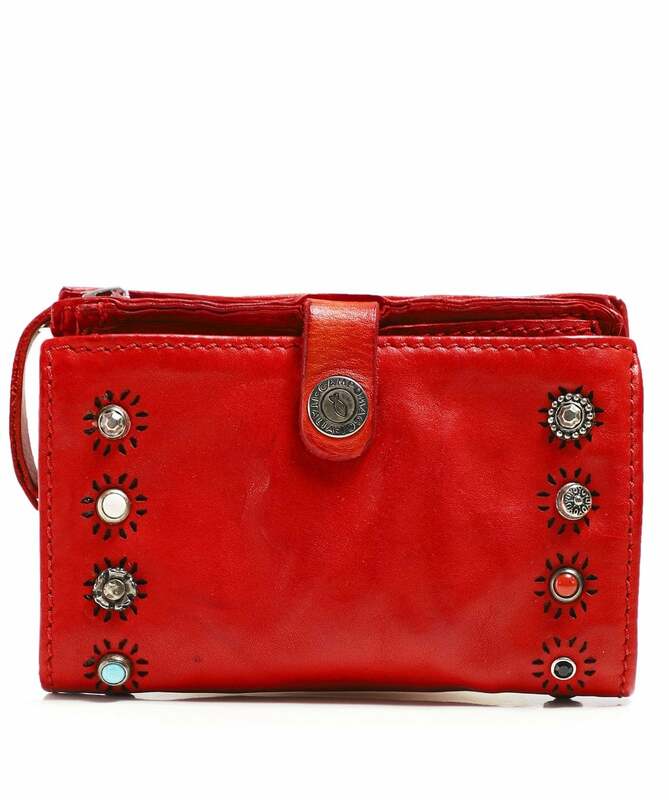 The purse is embellished with an array of studs, rhinestones and laser cut details for a distinctive finish. All of our purses are one size, please check an item's specific measurements.